Behaving like the worst kind of employer, Tory Fire Minister Brandon Lewis has worsened the insufficient offer made to firefighters in retaliation for their earlier strike action. You can read the key points in this comprehensive update from the FBU on the firefighters’ dispute. The Coalition and employers have failed to address the issue caused by their forced increase in firefighters’ retirement age from 55 to 60 – any firefighters losing their jobs due to lack of fitness will be unable to access their pensions, leading to a bleak “no job, no pension” prospect for firefighters at the end of dangerous and arduous careers. Added to this, firefighters are paying ever-increasing pension contributions which will average 14.2% of their wages by next April. 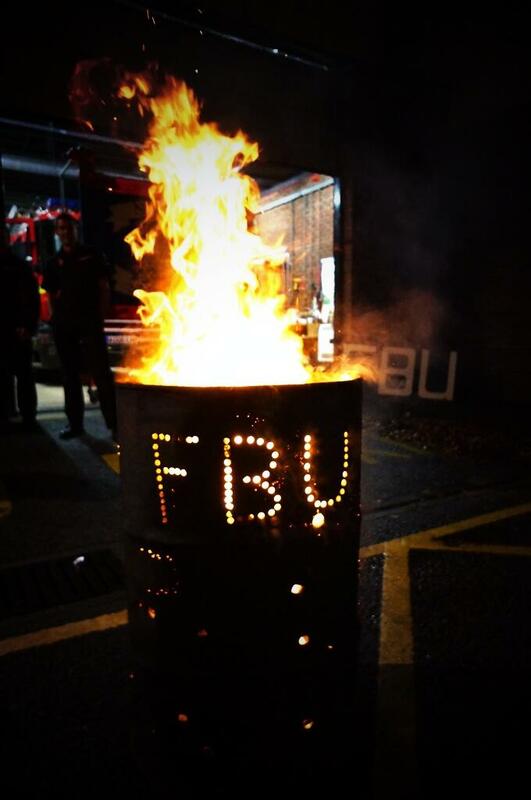 Please support firefighters’ picket lines when they strike again from 10am to 2pm on Wednesday 13 November. 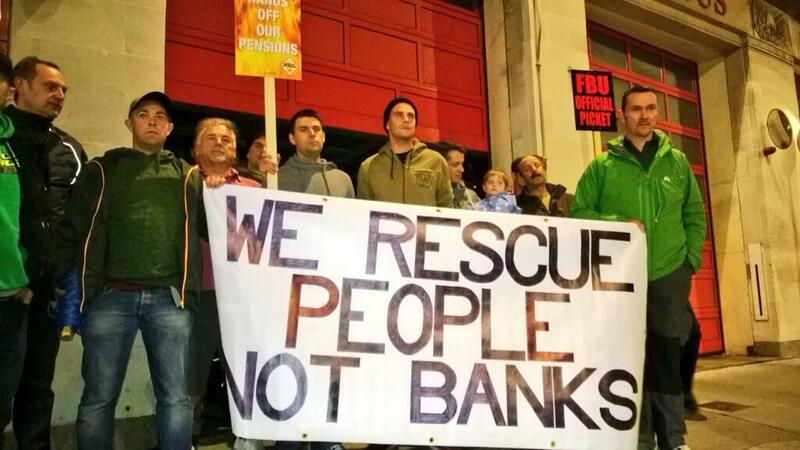 Using these handy FBU templates, please also write to your MP to object to these changes. The Fire Service is facing huge cuts under the Coalition and Tory Fire Minister Brandon Lewis is pushing a privatisation agenda. We must stand together with firefighters now to defend our Fire Service.